In the past, In Case You Missed Seminar has focused on the achievements of a traveling scholar who recently visited Michigan for a talk. This time, though, we'll take a look at some research done by a second-year student gearing up for their departmental seminar. 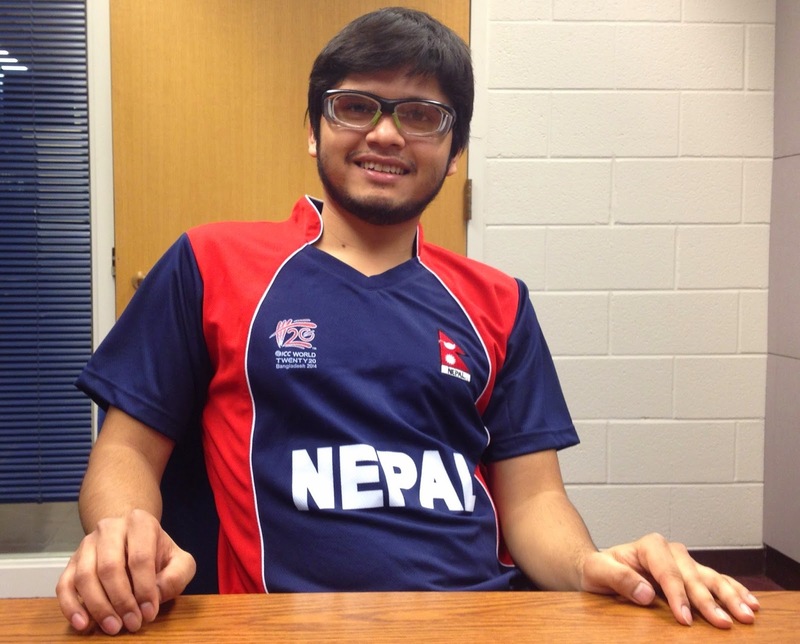 Bijay Bhattarai is a second-year organic chemistry student in Dr. Pavel Nagorny's research group. Dr. Nagorny's group pursues natural product synthesis with particular emphasis on the chemistry of sugars and other carbohydrates. Bijay, along with co-author Jia-Hui Tay, recently published the results ($) of his research with Dr. Nagorny in Chemical Communications (RSC). Organic chemists are always looking for newer and better ways of building up small molecules piece by piece. Often, the starting materials for organic reactions take the form of salts, which are composed of positive and negative ions. The positive ion is called the cation, and the negative ion the anion. The picture at the left shows an example of one salt, diaryliodonium triflate, used in the authors' paper. When reactions are carried out in non-polar solvents such as toluene and hexanes, the ions in salts tend to stay close to one another. The attraction of positive and negative charges keeps them together. When another molecule tries to come in and react with either the cation or anion, the strong salt bond must be overcome first, which can prevent the reaction from happening at all. Enter "ion activation." The focus of Bhattarai and Tay's paper is the use of a cooperative reaction additive that is known to bind to anions. The specific type of molecule they employed is called a thiophosphoramide. After the thiophosphoramide has partnered up with the anion, the bond between cation and anion is weakened, and the cation can more easily participate in reactions. Bijay and Tay used this scheme to attempt to improve upon a known reaction ($) in which benzoic acid is transformed to its phenyl ester via a copper(II) catalyst. The results? Adding in the thiophosphoramide not only greatly increases the yield of the products, but also reduces the temperature needed to activate the reaction. They show that the reaction works for a variety of different diaryliodonium and copper reagents. Under their optimized conditions, they were able to esterify several different kinds of carboxylic acids, including some steroid compounds. For Bhattarai, it was rewarding to see some of the same principles at work in his reaction flask that are so important to protein function in biology. "Proteins do the exactly the same thing. It's cool to think of it that way," he said. Proteins have highly specific binding pockets that isolate molecules and orient them in a certain way to direct their reactivity. Often, ion pairing is an important part of that process. Bijay Bhattarai, the paper's first author. According to Bhattarai, the results were not very surprising. "When I started, we already knew something like that might happen," he said. The project grew out of results published previously by another lab member ($) and some further preliminary experiments conducted by Tay. In fact, the authors were surprised that their method was not more widely applicable. It was originally anticipated that the ion activation scheme would work for a wider variety of nucleophiles, not just carboxylic acids. When the results did not come right off the bat, Dr. Nagorny suggested building on the results his students already had with carboxylic acid esterification. 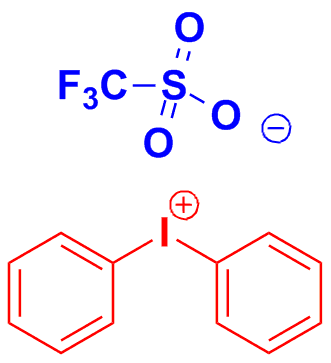 "We just took this reaction and said, yeah, we're just going to make it bigger and do a lot of substrate scope, do some catalyst scope," said Bhattarai. For this type of paper, the short form of a communication worked out nicely. "We were just looking for an initial picture of the activity of the thiophosphoramides," said Bhattarai. With so much promise on the project, it was appropriate to submit the communication right away. After two months of hard work, the paper was well-outlined. Bhattarai credits his quick success in publishing to a combination of luck and long hours spent in the lab. "I just got lucky that I had a working project," he said. "But then, of course, we work late into the night, and that is the only factor that really matters. When you work long hours, you get more results, and more data," which, he added, allows you to sort through the uninteresting results more quickly. "This is just a starting point," he said of the publication. He seemed excited to pursue further research on the subject in the future, rather than moving to something new after writing the paper. "We have a bigger picture of [this reactivity], and we just started small to see if it would work." As always, there is a whole pile of science left to be done. With a smile, Bijay added, "Hopefully the bigger picture is going to work as well."